We’re in the heart of winter, and fresh, juicy, ripe tomatoes are long gone. Don’t you miss these beauties? Sure, you can still find tomatoes in most grocery stores, but they are either grown in a hot house or come from far away lands. And the taste! Mealy, watery, and bland, out-of-season tomatoes are not something I willingly consume. 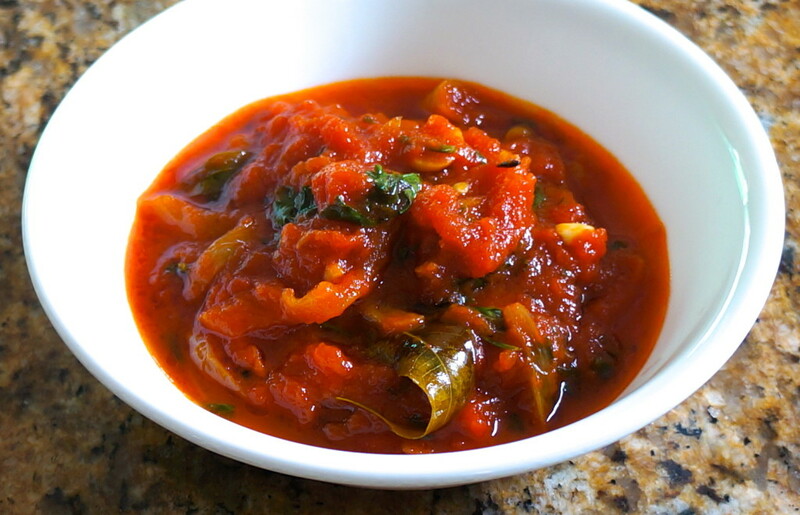 So what should a half-Indian cook do when she wants some tomato chutney? Canned tomatoes to the rescue! I don’t usually buy canned goods since they are usually nutritionally and gastronomically inferior to fresh foods, but tomatoes stand up well to the canning process, which incidentally concentrates the lycopene (a powerful antioxidant that is present in red foods, especially tomatoes). And canned tomatoes make a great tomato chutney! Make sure you get whole tomatoes–trust me, the diced kind just don’t taste right. 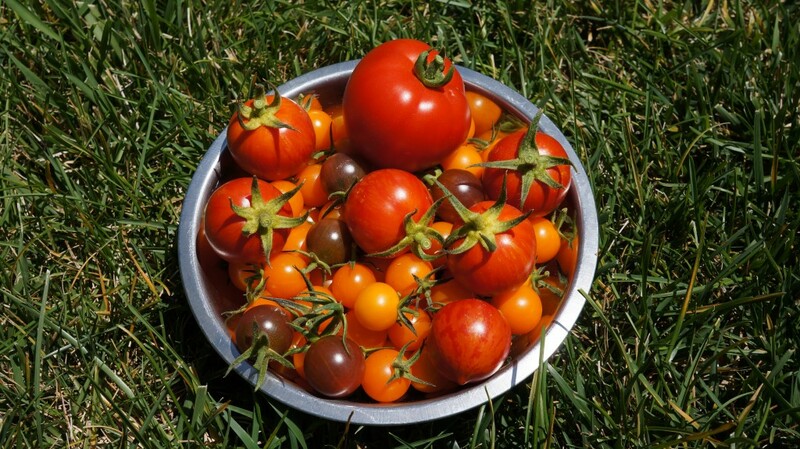 And when possible, choose organic, unsalted tomatoes in BPA-free cans. 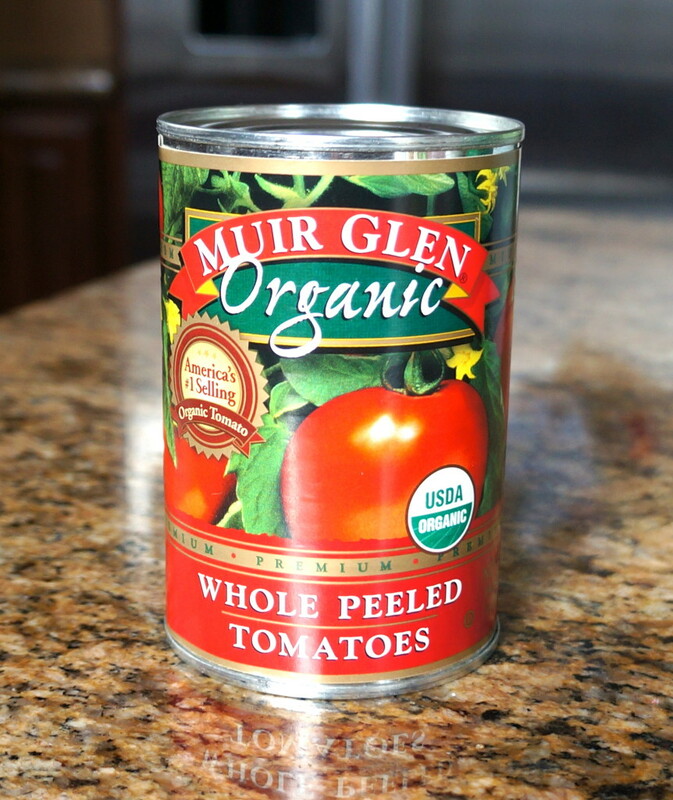 Muir Glen currently uses BPA-free cans. Not sure what to eat with tomato chutney? 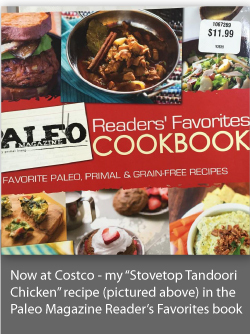 I usually make it when I am serving lamb curry, but it is also delicious on top of some hardboiled eggs or cauliflower rice. Or throw in some anchovies or sardines for a nice meal/snack. Yum! 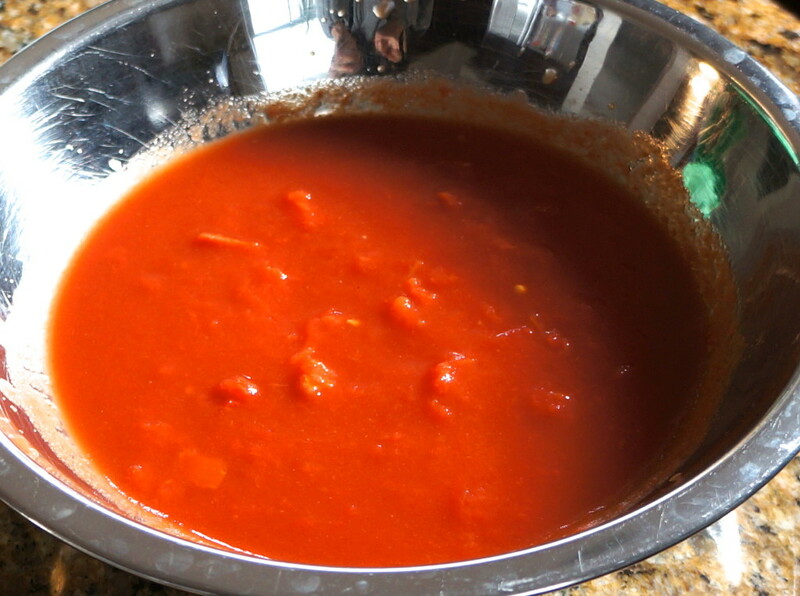 Open the can of tomatoes and dump into a bowl. 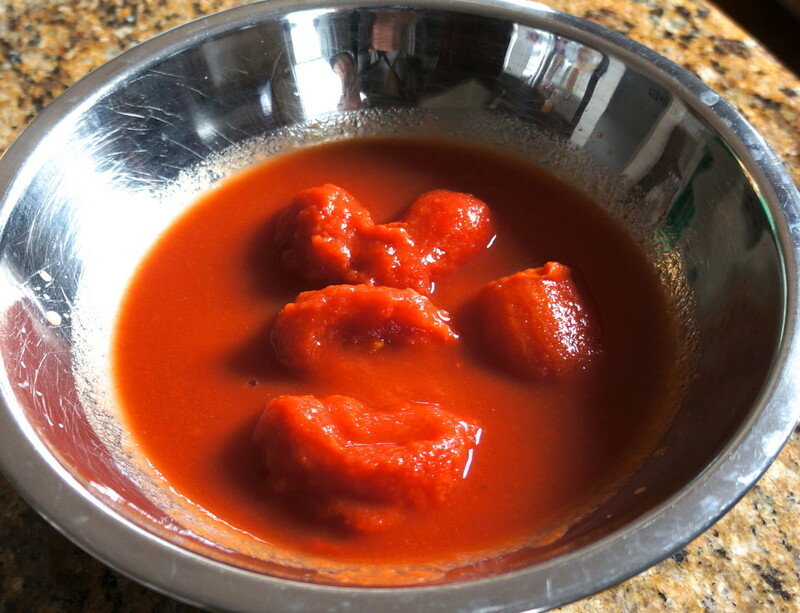 Using your hands, mash and squish the tomatoes until you are left with a chunky sauce. You really need to break them up well. In a large saucepan, heat the coconut oil. When it is hot, add the jeera and let it pop. Add the onions and let cook a few minutes until softened, but not browned. Add the curry leaves and let cook for a couple of minutes. then add the garlic, ginger, and chilies. Let cook for another 2-3 minutes. Add the mashed tomatoes, haldi, and a little salt. Bring to a boil, then reduce heat to low and cook, covered for 20-30 minutes. Stir occasionally to make sure the chutney is not too thick or sticking to the bottom of the pan. Add water if needed. Check for doneness–it should taste cooked and the flavors should be incorporated well. Also check for salt and adjust as needed. When the chutney is finished, add the chopped cilantro and let it cook uncovered for a couple of minutes.